Home » Forex » Online trading » Trading » FXGM South Africa – Why are they a viable option for the online traders? People usually believe that online trading is indeed one of the most lucrative opportunities for South Africans and the other people throughout the world to earn money. 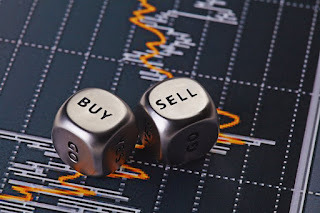 Both binary options and forex trading are feasible alternatives and the choice is entirely the concern of the trader. Any option you choose as a trader, it is imperative for you to have the required education and develop a dependable strategy for determining the movement of markets. Forex Global Markets or FXGM is a broker which provides several types of accounts to its valuable clients. With that in mind, conditions for trading don’t differ among the various types of accounts. The benefits of working with FXGM South Africa usually comes in the form of educational content, working with a personal account manager and other benefits which are not needed by the seasoned traders. The levels which have crossed silver usually get a restrained subscription to the independent technical analysis, Trading Central. Depaho Ltd. is supervised by CySEC, The Cyprus Securities and Exchange Commission, which is a local watchdog. When compared to other off-shore trading brokerages, FXGM is deemed to be reliable and trustworthy. The company came into existence in 2006 and is supervised by several agencies of regulation. Depaho Ltd. works in accordance with the MiFID or Markets in Financial Instruments Directive of the European Union. FXGM provides different opportunities to trade forex commodities, stocks and indices with the best quality broker in the forex industry. CySEC, the local regulatory agency binds the companies with lots of rules and regulations, especially those which are registered with the organization. From the perspective of the trader, one of the most vital principles is implementing segregated and separate accounts. The funds of the clients should be kept in accounts that can’t be accessed by the broker. So, you can be sure about the fact that the company won’t be able to steal money in a direct manner. All brokers regulated by CySEC participate in ICF or Investor Compensation Fund which guarantees funds for the clients if the broker denies payment. The website of FXGM is extremely user-friendly and it can be easily navigated. The vital information which a trader might need can be visible on the tab at the top portion of the page. Moreover, the landing page offers a quick glimpse into the several features of the site and the graphics in the website are colorful, clear and bright. Here are few trading conditions of FXGM that you should know. The initial minimum level of deposit that has been set by FXGM is $200. As per current standards, this is considered a bit too high as there are other companies which demand a minimum deposit of $100. While comparing forex brokers, the minimum deposit shouldn’t be the deciding factor. Only when you’re a novice trader, this should be a thing of consideration for you. FXGM provides a maximum leverage of 1:200 along with the surplus condition that you should be an experienced trader, or else it is 1:100. Both such offerings will satiate the requirements of the serious trader. Keeping that in mind, you may be under an impression in case you follow the industry as lots of brokerage firms provide leverage of 1:500 or more than that. There are 2 different trading platforms for the clients of FXGM, MetaTrader 4 and PROfit. Both these platforms achieve similar goal, though one is more popular than the other and has got different functions. The former one is definitely the most popular one. As long as currency trading is concerned, it is the industry standard. MetaTrader4 has got a charting potential and has got an ability to load different instruments. MT4 can also be extremely demanding on the MQL coding environment and hardware and this has forced it gain a good reputation. The best things about this is the MQL marketplace which is independent of brokers and is an online shop where you can test, view and buy automated trading systems and custom technical indicators. This platform allows you freedom to move few elements around and this is necessary with the given number. FXGM South Africa receives payments via Credit and Debit card and Bank transfer. While they can get the job done, there are many who can even use other payment solutions like E-wallets and international transfers. So, as we see, FXGM is a forex broker regulated by CySEC. If you’re wondering about the credibility of this broker, you can take into account all the positive sides of them.